Although Xiaomi released Android 8.0 Oreo for the Mi A1 handset before the end of 2017 as they previously had promised, the first security patch of the new year arrives with a long delay. 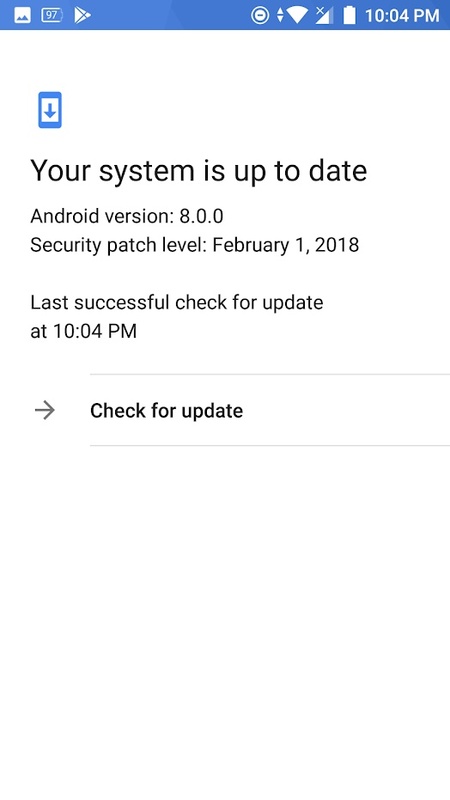 Even worse, the new firmware does not bring Android 8.1 or the latest security patch from Google, only packing last month's update and nothing else. The Xiaomi Mi A1 might be a few months old, but it remains an excellent mid-range device thanks to the aggressive pricing policy and the good software support for a smartphone that can be easily acquired for around US$200. While it looks like the third Android 8.0 Oreo-based update for it arrived in India in the first days of the month, it took a while for the new firmware to reach Europe. My Xiaomi Mi A1 displayed the update notification last night, and since I never heard of the update's arrival in the area so far, it is rather safe to assume that this was the first wave. 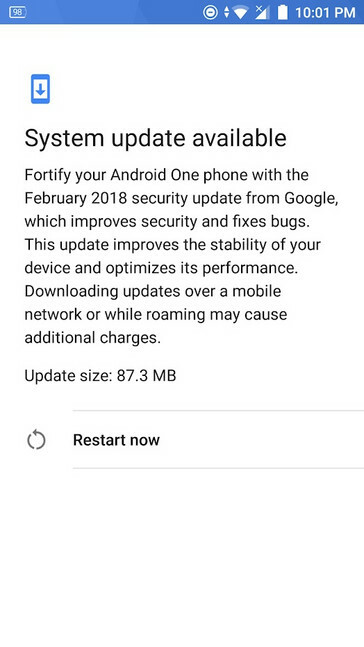 Just as the update the surfaced about three weeks ago in India, the size of the new firmware is 87.3 MB and there is nothing new about it in terms of features. Although it arrives in the second half of March, the update contains the security patches dated February 1. 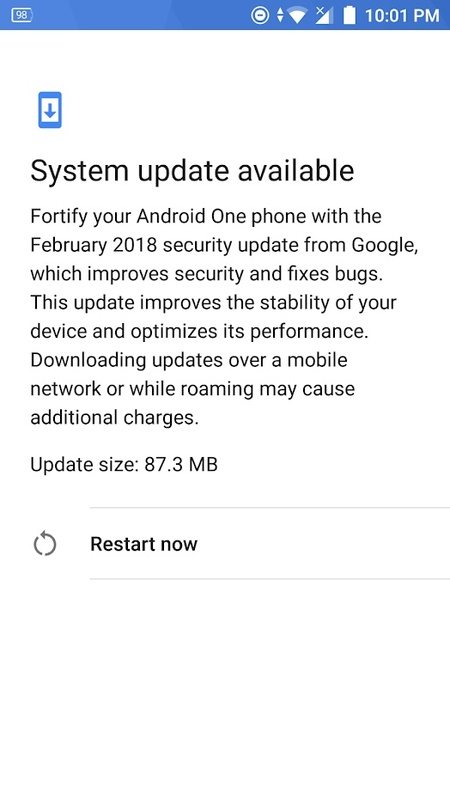 Downloading and installing the update worked fine, and now the new build number displayed in the About phone section of the Settings area is OPR1.170623.026.V9.5.4.0.ODHMIFA. 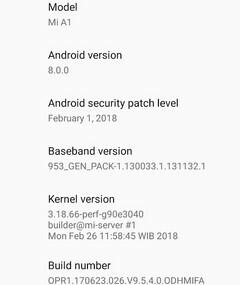 While the security patch is dated February 1, the kernel details include the date of February 26, so it is possible for this update to include some minor tweaks and fixes that became available around a month ago. In the end, although the new update is a small step forward for Xiaomi Mi A1 users, it also shows that this Chinese company is capable of providing adequate software support even to its mainstream devices. 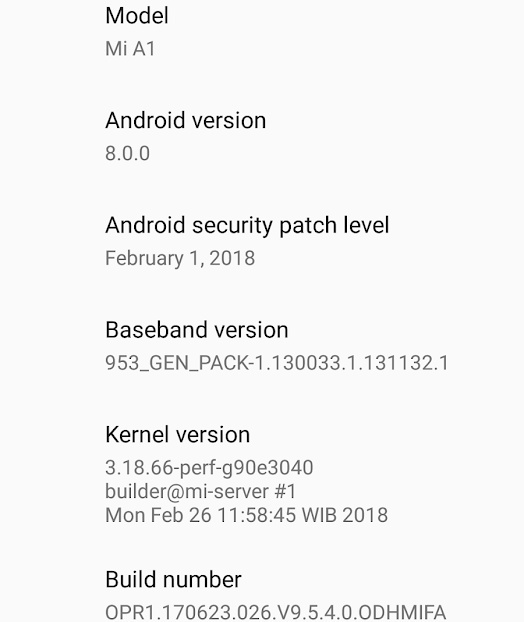 Sadly, there is no Android 8.1 Oreo in sight yet, but those adventurous enough could get it running on the Xiaomi Mi A1 thanks to LineageOS 15.1.